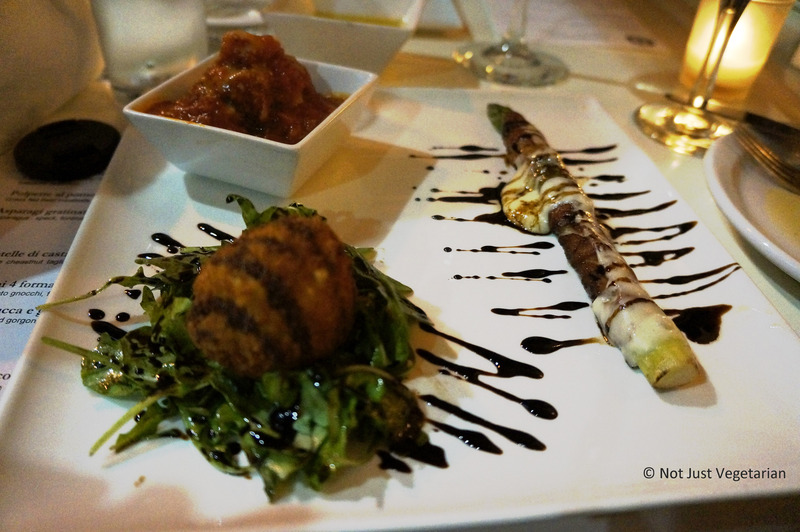 I was recently invited to a Press dinner at Giano, in the East Village. Giano stands for Janus – the dual-faced Roman God who looks at the past and to the future). The food at Giano is both traditional and contemporary, just as the decor is – there is a modern area in front and a more traditional, rustic Italian feel at the back of the restaurant. The seasonal garden at Giano is open from April to October – a relaxed space for dinner in better weather. 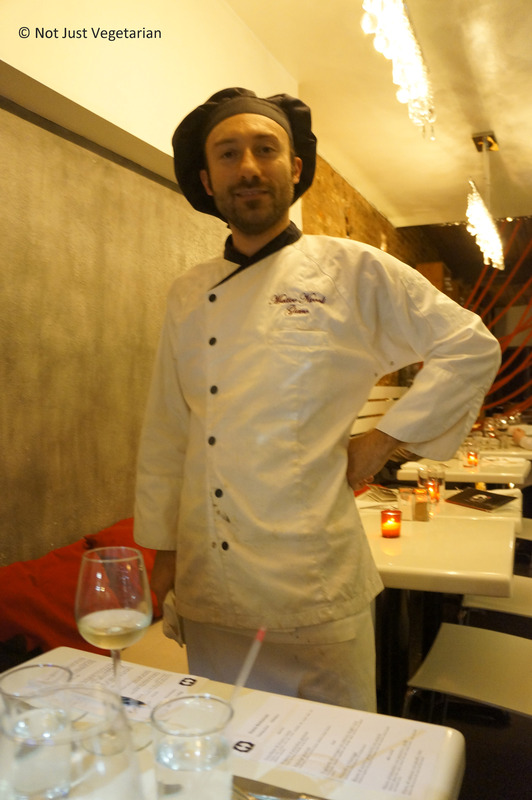 The co-owners are Paolo and Matteo – both super-friendly. Paolo Rossi is the Wine Director while Matteo Niccoli is the Executive Chef behind some delicious and unique dishes – the meat balls (and I rarely eat / enjoy meat balls), tagliatelle made of chestnut flour, and the simply to-die-for tiramisu and capuccino gelato. 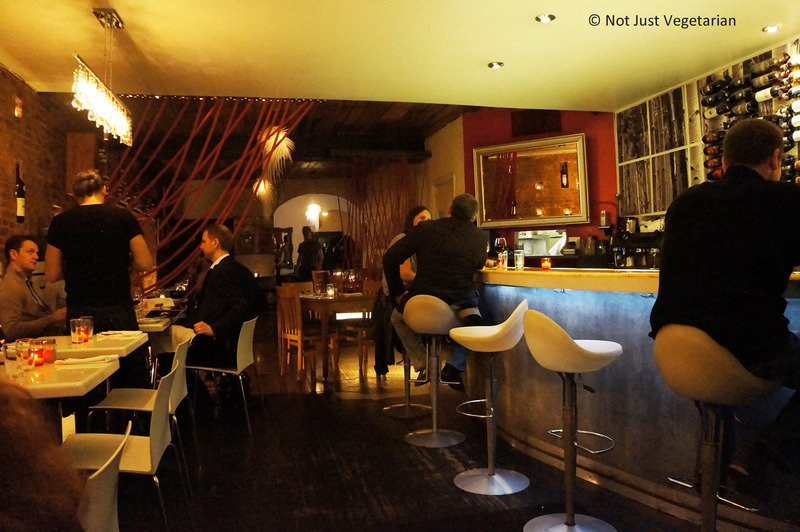 Giano is open just for dinner (Tues – Sun), although they do have a Happy Hour from 5.30 to 7 PM (Tues. – Thurs. 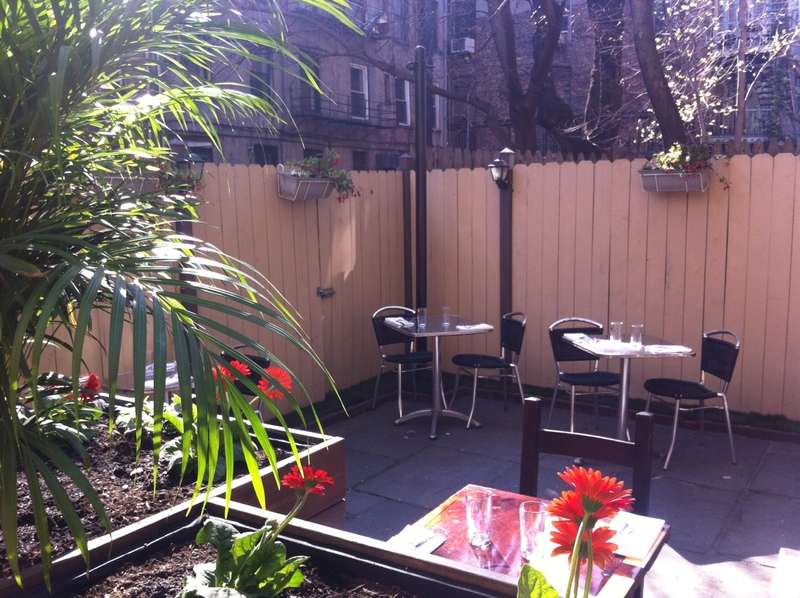 and Sun., when they serve 2 courses for $21.50 and offer 1/2 price on select wines by the glass. Their New Year Eve menu looks like a steal for a Pre-fixe menu at $55 per head. 3 appetizers arrived together on a platter. 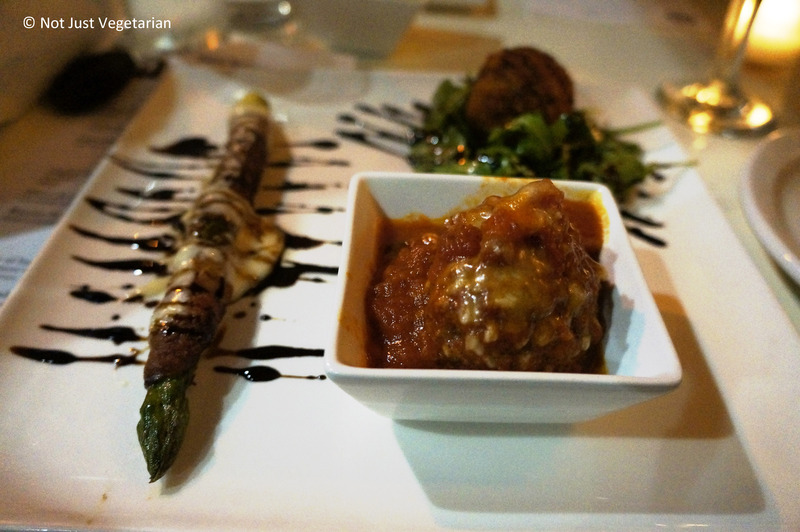 The best appetizer was the meat ball in a tomato sauce. This has to be one of the best meatballs that I have ever had in NYC, granted I don’t eat or enjoy them often. 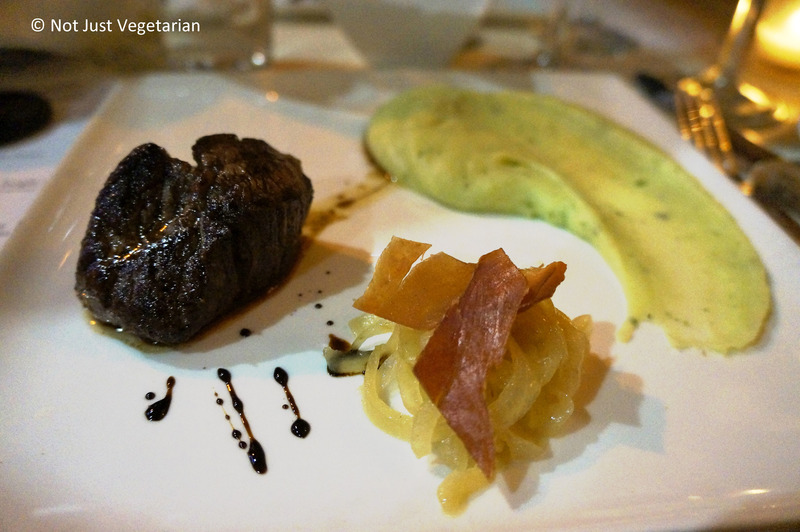 The next course was a combination of 3 different items plated together. 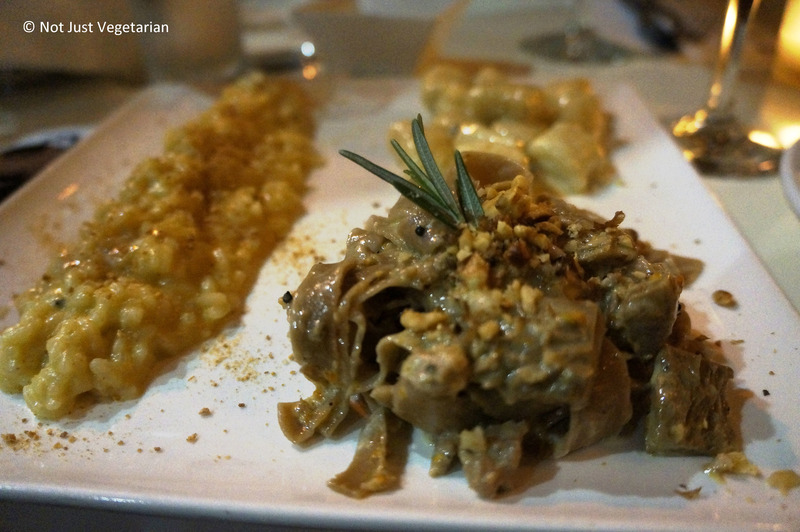 My favorite and a very unique dish is the tagliatelle made of chestnut flour with a sausage ragu, mushrooms and toasted walnut. This was a delicious dish well-balanced with sweet (chestnut), salty (sausage), and woody (mushroom) flavors with a nice crunch from the toasted walnuts. Chestnut flour is naturally gluten-free and this pasta is likely to be gluten-free although I did not confirm with the restaurant. 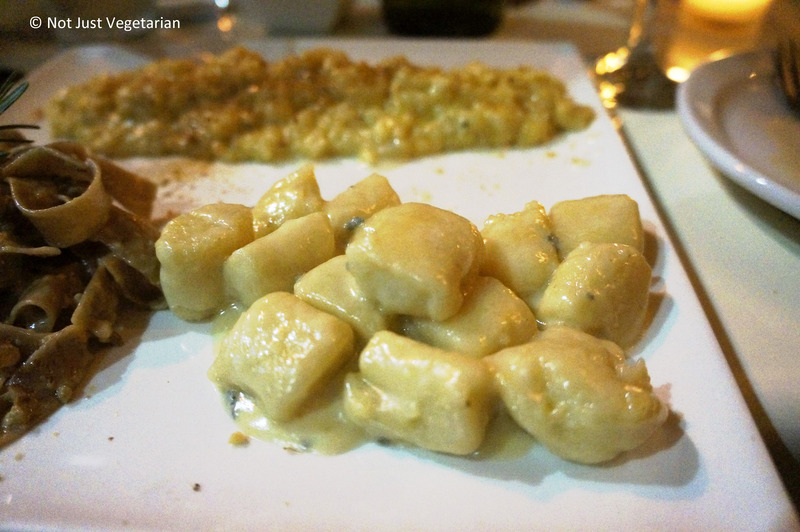 The gnocchi was super light and was not overloaded with cheese, even though there were 4 cheeses it – I thought it was undercooked. 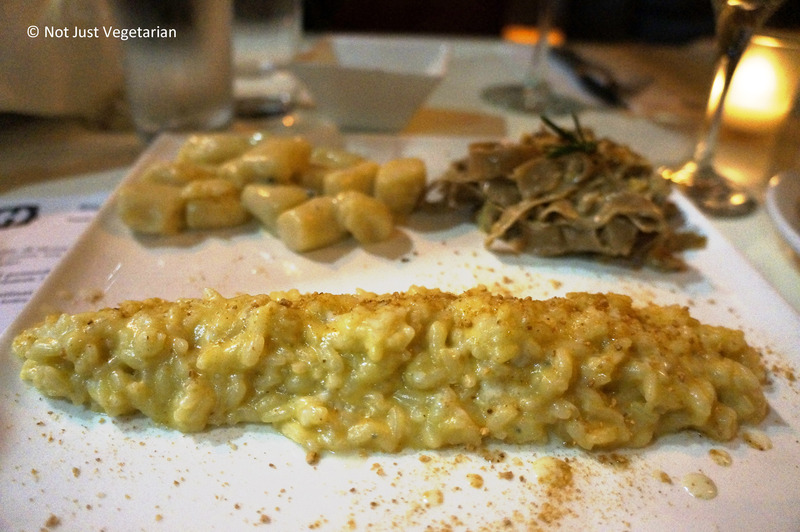 The butternut squash risotto was sweeter than I would like it. 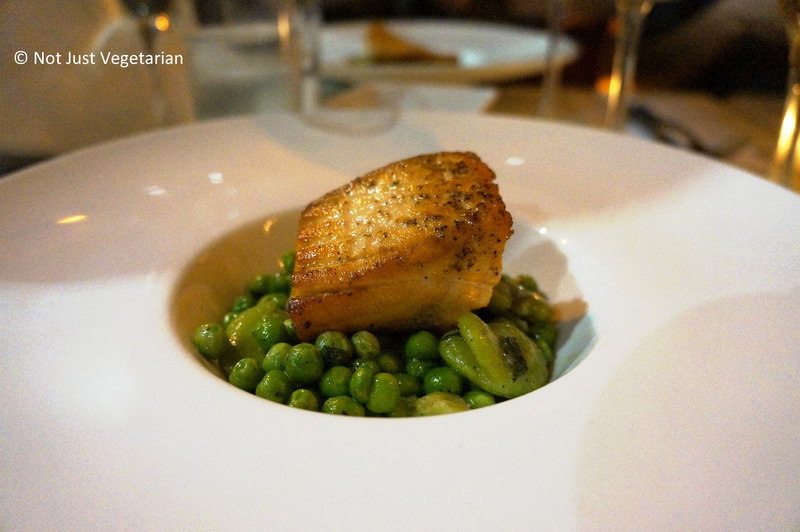 The salmon was grilled perfectly and looked beautiful sitting atop a bed of fava beans and peas. If you like grilled salmon, try this one and you won’t regret it. Next was a balsamic glazed filet mignon with braised onions, cripsy pancetta and basil mashed potatoes. The basil mashed potatoes was a very unique side – the basil did not overpower the flavour of the mashed potatoes. I wish I knew how to make these at home!! My mashed potatoes were “tainted” with some balsamic (too sweet), never the less, simply too good to be not devoured. 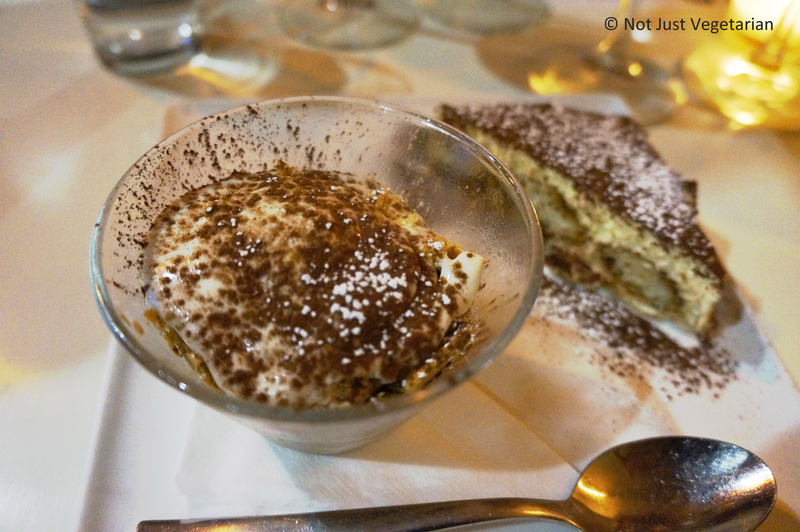 The tiramisu is one of the best I have had in NYC – it is to-die-for! It was light, fluffy, not too sweet, with the right amount of coffee powder dusted on it! It was paired with a capuccino gelato – again delicious!! I believe this pairing is very unique at the restaurant as well and it’s not served every day. If the capuccino gelato is offered on the menu, make sure you get it. 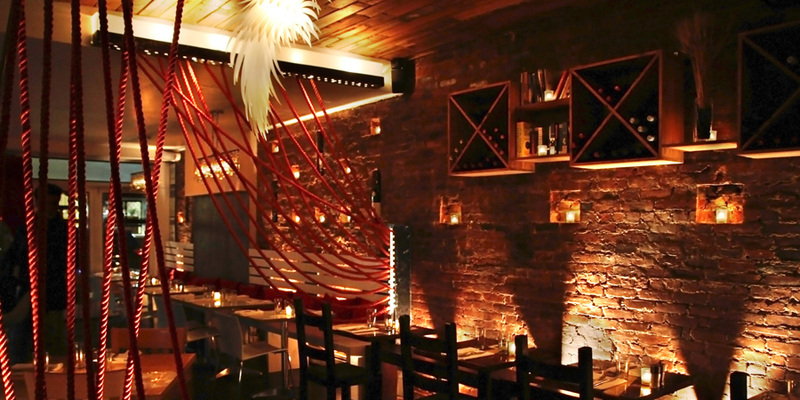 I would go to Giano again – especially when I am looking for some unique and delicious Italian food to eat in a casual and relaxed restaurant in the East Village! 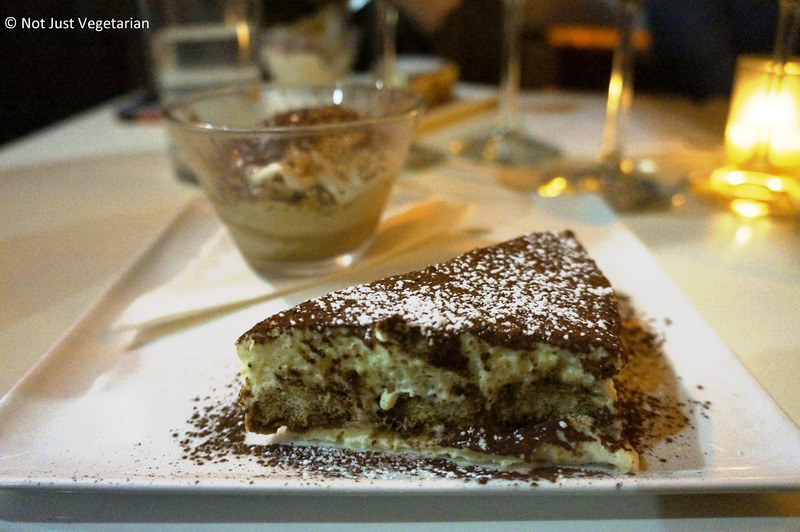 Note: The post titled “Giano: Neighborhood Italian in the East Village, NYC” appeared first on Not Just Vegetarian.